Super High Roller Bowl: “The Cary Bet” to his new table. Early in Level 6 of the 2017 Super High Roller Bowl the field dropped from 56 to 49 players and since the feature table was the highest number to start, it’s the first to break. Doug Polk welcome Cary Katz when he was relocated to an outer table – even though Cary Katz was at a different table. Polk asked the players at Cary Katz’s new table “Do you guys know the Cary bet?” Connor Drinan, Sean Winter, Dan Perper, Leon Tsoukernik, Steffen Sontheimer and Erik Seidel didn’t reply. “It’s when Cary bets 1/30th of the pot on the river to induce or get you to do something stupid. Have you done the Cary bet yet?” Polk asked. “Once or twice,” Katz replied with a grin. Earlier in the day commentator Ali Nejad noticed Cary Katz’s small river bets and noted it on the stream. A writer familiar with Cary Katz let Nejad know it’s a signature move of his. Then the conversation moved on to a hand Katz played against Bryon Kaverman. Jason Mercier and Dan Shak joined in the conversation to hear the explanation. Kaverman opened, Katz three-bet to 20,000 and Kaverman called. The flop came Ah Kd Kc, Kaverman check-called 14,000 and the turn came 5d. Kaverman checked, Katz checked behind and the river came Ts. Kaverman checked again, Katz bet 49,000 and Kaverman check-raised to 155,000. 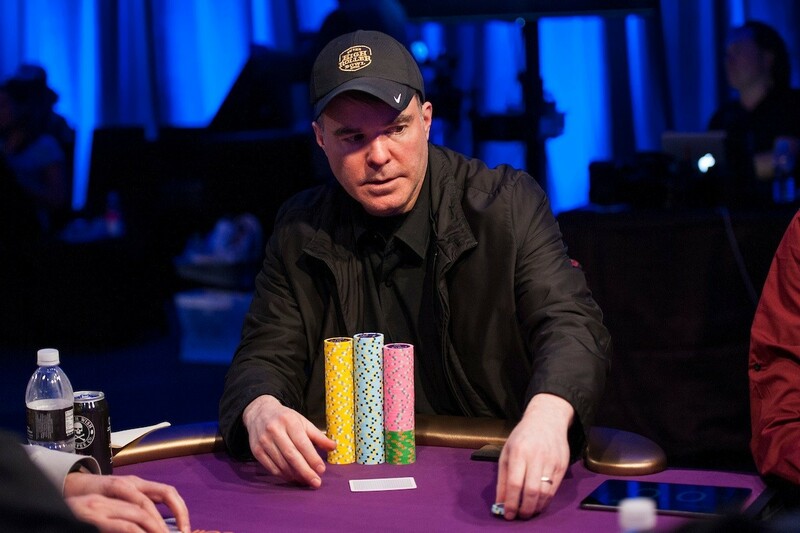 Katz called, Kaverman showed pocket aces and Katz mucked his cards – king five. The players pressed Katz more info on the hand and he said that Kaverman checked the whole way.